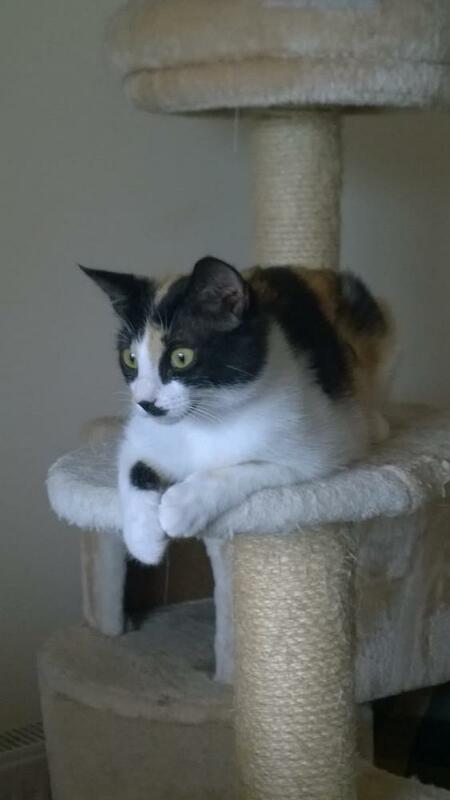 Candy is a six-month-old calico kitten who was rescued from a garage forecourt at 4 months old. She is slowly socialising to the pet cat lifestyle but would need a cat lover to adopt her with abundant time and patience to see her through the final stages of learning trust and love for her adoptive family. Candy is used to a multi cat household. UPDATE: Candy has been adopted.